It is the end of the season and we all know what that means: time for SALE! Whether we like it or not, many of us are drawn to the shops with the biggest red letters on the window screaming about how they reduced their prices of some of their products to even 70 %… However, shopping during sale periods if often not the most pleasurable time to hit the shops. As a resort many of us shift to online shopping where products are perfectly displayed on beautiful models and you don’t have to dodge elbows from fellow shoppers while diving into a pile of shirts. Nonetheless, this might not be a perfect customer experience either, as our perfectly displayed dress in the web shop is often disillusioned and the real product leaves us disappointed upon arrival. Now I hear you wonder… how can we solve these problems and create a better customer retail experience? Do not worry; the answer is radio-frequency identification (RFID). 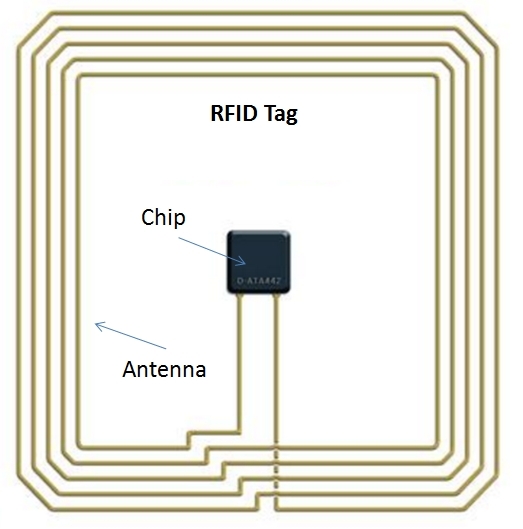 RFID is a technology used to read and/or save information of RFID-tag labelled products such as paper tags. The technology was first discovered in 1945 and has been patented in 1983 by Charles Walton (Barcoding, n.d.). Opposed to traditional barcode techniques, each RFID-tag is uniquely identifiable and can store more specified information for the tagged product. Ever since, the technology has experienced extensive development and is currently used in many industries ranging from security, to advertisement, and mobility to live-stock. In retail environments we for example have already seen RFID-tags to protect valuable products in our local drugstore from being stolen. As the technology has been growing over time, the price of a simple RFID-tag has been reduced to 10 cents (Barcoding Inc., n.d.). Now that might seem very cheap, however, when all products in a store need to be labelled this will add up to quite a substantial amount of money. So what exactly are the benefits of using these RFID-tags in your favourite retail store? Example of an RFID tag used to label products. For all shoplifters among us, this might be rather a downside than a benefit. With RFIS-tag labelled products, the security systems of stores can be significantly improved to better the customer experience. Normally, when you walk into a shop, you are welcomed by security gates with which shops are essentially saying: Feel free to check out our product, but be careful, we know you might steal!. New technologies using RFID-scanners are able to operate more precisely and therefore capable of scanning products from a bigger distance in a more distinct area. This allows for the development of overhead scanners at the entrance of shop that are nearly invisible for the customer (Nedap Retail, 2019b). Furthermore, the labels will contain more information about the products they are attached to and while checking out information about the sales status can immediately be updated (Nedap Retail, 2019b). Therefore, less security details such as pins need to be added as the label itself can signal immediately if it is being stolen. Lastly, once certain products are identified to be stolen more often, increased security measures can be taken such as giving the product a more prominent display in the store or adding traditional prevention measures such as colour bombs and security pins (Nedap Retail, 2019b). The difference is that this will now only need to be used for products that are frequently stolen rather than every product that shows increased value. Example of overhead scanner at the shop entrance. Another benefit comes in the fitting room. With the uniquely identifiable labels, shops might in the future be able to build recommendation systems based on what products customers bring to their fitting room and decide not to buy (GDR, 2019). Once data is more incorporated within the business, shops can create a system in which customers create a profile that collects information about what the customers likes (GDR, 2019). This may start with online browsing behaviour, but can be extended to the fitting room where items can be scanned, and customers can indicate what they liked or did not like. Based on the input information, the system can give recommendations on products with for example a similar colour or a different fit if the customer indicated the product did not fit well. With this, the customer will receive better in shop recommendations without having to scan every shelf in the shop for different yet similar products. In a fully integrated supply chain where shop attendants are able to get the items for the customers once requested through the system, even more efforts for the customer are saved. This becomes especially interesting with the increased development of virtual fitting rooms where products can be tried without putting them on (GDR, 2019). Example of a virtual fitting room with product recommendations in different colours. As more date is being tracked on which items are exactly in the store, in the storage and being bought, less items need to be stocked-up within the shopping area. With the exact information which items are being sold in which sizes and of which colours, the personnel can instantly restore the items on display to the optimal level (Bianchi, 2017). This reduces the number of items that need to be displayed and allows for tidier stopping environment, especially during sales seasons. This becomes increasingly easy as the storage of the shop can be scanned quicker as well. With the RFID technology, items can be scanned through their packaging and while they are still in the box on the shelf. Therefore, it reduces time needed to find certain products while they are stored and makes it easier to replenish store displays (Nedap Retail, 2019a). Once more clarity on stock is being reached, more information can be displayed in the online environment as well where information about the current availability of the product in a specific store is displayed and regularly updated. This not only increases informativeness for customers, but the real-time updating of stock levels also lowers the chance of stock-outs when adequately used to organise the supply chain (Nedap Retail, 2019a). Example of replenishment system working with an application for shop attendants. All in all, a relatively simple technology such as RFID combined with a sophisticated cloud is capable of changing the retail customer experience. Storing more information in the cloud allows for a friendlier shopping environment that invites people to enter stores and creates clear overview of the products on display. Furthermore, it can compliment the online experience by creating real-time storage updates and improved recommendations both in store as well as online once products are linked to personal accounts. Therefore, the ultimate resort might no longer be just online shopping, as shops will remain tidy and we know what to expect in stores, even during the super sale times. Barcoding, Inc. (n.d.). RFID FAQs – Barcoding, Inc.. [online] Available at: https://www.barcoding.com/resources/frequently-asked-questions-faq/rfid-faqs/ [Accessed 9 Mar. 2019]. Bianchi, J. (2017). 5 Examples of Innovative Uses for RFID Technology in Retail. [online] Shopify. Available at: https://www.shopify.com/retail/5-examples-of-innovative-uses-for-rfid-technology-in-retail [Accessed 28 Jun. 2017]. GDR. (2019). The changing face of the fitting room – GDR. [online] Available at: http://gdruk.com/changing-face-fitting-room/ [Accessed 9 Mar. 2019]. Nedap Retail. (2019). !D Cloud – Cloud-hosted RFID software – Nedap Retail. [online] Available at: https://www.nedap-retail.com/solutions/id-cloud/ [Accessed 9 Mar. 2019]. Nedap Retail. (2019). iD Top – RFID-based EAS overhead – Nedap Retail. [online] Available at: https://www.nedap-retail.com/solutions/idtop/ [Accessed 9 Mar. 2019]. Over the past decade, online peer-to-peer platforms such as Airbnb or Uber have become some of the most prominent upbringings of the sharing economy. But what is the sharing economy? Defining the concept is quite difficult, but one may define it as “the use of technology to facilitate the exchanged access of goods or services between two or more parties” (Miller, 2018). It is fast-rising and highly popular, with 44.8 million adults in the US using the sharing economy in 2016, and 86.5 million US users expected in 2021 (Miller, 2018). So, how can those of the 44.8 million adults in the US using the sharing economy who provide services and products make the most out of this economy? The authors of the presented research intend to answer this question. Abrate and Viglia (2019) argue that the success of products offered on online peer-to-peer platforms is influenced by the personal reputation of the seller, which is often indicated by the sellers’ credentials. This personal reputation increases the quality of the relationship of those involved in the peer-to-peer platform and reduces uncertainty in the transaction. However, the authors argue that to date there limited research available regarding revenue optimization and personal reputation, instead of product reputation. Thus, the authors intend to close this gap in research by disclosing the effects of both personal and product reputation on revenue optimization in the sharing economy. The authors test whether product and personal reputation reduce the gap between potential and achieved revenues and whether personal reputation has a stronger effect on reducing this gap. In order to test these hypotheses, the authors make use of data from Airbnb. On Airbnb, hosts can list their accommodations and rent these to guests. Here, the shared assets are the listings and their characteristics, which constrain the maximum revenues a host can achieve. The potential revenues thus depend on factors such as location and number of bedrooms. While the host tries to maximize his revenues, achieved revenues often do not match the potential revenues. The authors take a stochastic approach to test the hypotheses and build two regression models. Without going into more detail regarding the regression model in this blog post, the authors aim at explaining the difference in potential revenues and achieved revenues with these models. They argue that the difference can be explained by reputational variables in that good reputation allows the host to outperform other hosts and thereby close the gap between potential and achieved revenues. If the host’s reputation is bad, on the other hand, the gap between potential revenues and achieved revenues increases. For both personal and product reputation, this is reflected in the regression models built by the authors. The researchers then gathered data from the five most popular European destinations, which are Barcelona, Istanbul, London, Paris and Rome. From these cities, the researchers identified all Airbnb listings within a 2-kilometer distance from what general tourism websites determined as the main attractions of these cities. Further, the researchers set a cap at 200 listings per city. For these listings, the researchers retrieved information on prices, availability, characteristics of the listing and reputational attributes. Personal reputation has been measured in days since registration, profile completeness and the “superhost” qualification, which is awarded by Airbnb to hosts when certain reputation requirements are satisfied. Furthermore, product reputation has been measured by professional photos of the listing and online reviews, in terms of volume and average review score. After validating the listings, the authors were left with a sample size of 981 listings. The authors then applied their regression models. The researchers found support for all three hypotheses, meaning that both product and personal reputation reduce the gap between potential and achieved revenues, but that personal reputation has a stronger effect in reducing the gap. The results of this research have important implications for both scholars, and managers and practitioners. For scholars, this research bridges the gap in existing literature regarding revenue optimization in the sharing economy, which has previously mostly focused on product reputation. This research also offers insights into the importance of personal reputation, stand-alone and compared to product reputation. For managers and practitioners, this research offers statistical proof as to how to optimize revenues in the sharing economy, especially in the case of Airbnb. Hosts on Airbnb can use these insights to take measures to increase both their product and personal reputation in order to increase their revenues. Through better personal branding and building trust, hosts can increase their personal reputation and thereby reduce uncertainty in the transaction which leads to higher achieved revenues. Finally, what are the strengths and weaknesses of this paper? One of the strengths of this paper is that it offers a statistical approach to revenue optimization in the sharing economy. Through regression modeling based on real data from Airbnb, the authors prove the importance of both product and personal reputation. A weakness of this paper, however, is that reputation, which is a key variable in this research, is difficult to measure. The researchers themselves acknowledge that reputation is very subjective and may not be adequately captured in this research. In future research, this issue should be tackled, possibly by validating the indicators used for assessing reputation in this study by having guests confirm or reject the host’s product and personal reputation . Abrate, G. & Viglia, G. (2019). Personal or Product Reputation? Optimizing Revenues in the Sharing Economy. Journal of Travel Research, 58(1), 136-148. Virtual reality is today a widespread, but still quite novel phenomenon. You have probably heard of VR in the gaming industry, as in the VR headsets. Moreover, VR is being used in healthcare, as in virtual reality diagnostics and virtual reality robotics. Similarly, VR can be used on the work floor, in the military, in sports, education and film. However, increasingly, companies are exploiting VR opportunities to engage their customers. L’Oréal is one of them. Recently, L’Oréal acquired Modiface, which is a beauty tech company which uses virtual reality to create augmented reality apps and AR mirrors (Moon, 2018). Next to L’Oréal, Modiface has created apps for Benefit, Sephora and Bixby Vision. By using the Modiface app, people can superimpose beauty products on their face and hair, using an uploaded selfie. As e-commerce is driving the beauty industry nowadays, L’Oréal hopes that once people stop buying their beauty products in brick-and-mortar stores, they will turn to L’Oréal’s VR app, and so, L’Oréal’s own products (Duan, 2018). Next to acquiring Modiface, L’Oréal is collaborating with Facebook’s augmented reality platform (Lucio, 2018). By using this platform, customers will be able to try out all sorts of make-up by using Facebook’s AR camera. This could become one of L’Oréal’s smartest move, as for L’Oréal, social media networks have become the biggest growth driver of web sales in terms of attracting shopping traffic (Rayome, 2018). Buying make-up or trying on a new hair color is not an easy decision. Especially because L’Oréal’s products -which also include many high-end beauty brands, e.g. Lancôme– are quite pricey and therefore not an everyday routine decision. L’Oréal capitalizes on the customer’s desire for knowledge by offering their customers detailed information online, using AR technology. Moreover, by offering live stream make-up tutorials with make-up experts, L’Oréal tries to educate its customers. As such, L’Oréal tries to eliminate product uncertainty and make their customers feel confident and happy about their purchase. However, another important aspect of customer engagement is customer entertainment. AR can help beauty brands entertain customers by including a sense of fun into searching for beauty products. For example, for Cannes Film Festival’s 20th anniversary, L’Oréal used its AR app to entertain users with 64 film-inspired, AR-powered make-up looks (Pezzini, 2018). This way, people could experience the red carpet feeling from home, and interact with L’Oréal’s beauty products. Moreover, by using the Genius make-up app, customers can try on hundreds of make-up looks without the need to actually try on or acquire the products, which may open a world of imagination and wonder, at least for some of us. As a large part of L’Oréal’s customers is still buying its products in-store (Jung, 2018), L’Oréal is not only experimenting with VR online, but also offline. For example, in China, L’Oréal has installed multiple “magic mirrors” in its stores. By looking into a real mirror, people can try on different make-up looks and order those products directly via their Genius app (Hsu, 2017). Although customers are still taking baby steps regarding the use of virtual reality in the beauty sector, I definitely see a great success story in L’Oréal’s VR efforts. However, the development of the virtual reality apps and platform are just not enough. In order to sustain long-term customer engagement and retention, L’Oréal will need to make some more efforts. One such effort is building a strong community around its virtual reality activities. L’Oréal is on the right way of doing so. As aforementioned, L’Oréal recently acquired Veleza, which is start-up app-based community of beauty lovers which help members find products that match their personal needs. Moreover, people can give each other feedback and rate/review beauty products. However, by using the already established Veleza platform, L’Oréal is outsourcing its community establishment. This inquires an easy set-up and by doing so, it can acquire already existing members from Veleza, which is beneficial. However, this leads to a lower impact on their own brand and L’Oréal may have lower flexibility regarding design (Tsekouras, 2019). Therefore, I would recommend to L’Oréal to establish their own online community. This will not only enhance their brand, but it also directly relates to only their beauty products. To conclude, L’Oréal has the means and expertise to develop its own online community around a strong digital VR strategy, which could definitely lead to an even higher brand awareness and customer loyalty. Bleier, A., & Eisenbeiss, M. (2015). Personalized online advertising effectiveness: The interplay of what, when, and where. Marketing Science, 34(5), 669–688. Tsekouras (2019). Slides CCDC Session 6. Facebook launched the “Like” button in February 2009. Since then, more and more social media platforms, such as Twitter, LinkedIn and Instagram, started with introducing this service for their users. This liking function can be of great value for companies using these platforms for advertising. According to a study of Li and Wu (2013), one additional Facebook Like on a sponsor ad averagely will increase the company’s revenue by 215 dollars. It is therefore very interesting for companies to investigate in the motivating factors, that cause people to like and endorse a product since it can be an important extra source of revenue. How to encourage more users to involve in a product endorsement has therefore become increasingly essential to every company in terms of strategic marketing. Why do people endorse products? When a user clicks the “Like” button for a sponsored product, the product will automatically be shared to his or her Facebook friends. So the main reason for people to endorse a product is to inform their friends about a good deal. Users are willing to share and endorse a product to friends if they think it is a recommendable product or they want to show their interesting for this product publicly. For some users, social media endorsement is an uneconomical bargain since they should put their self-image at risk and may not get any monetary compensation. For instance, the self-image risk arises when they endorse a product with low quality. It is therefore important for people to make sure that the deal or product they are promoting to their friends is of high quality. A method often used to get knowledge on the quality is the average rating. The research therefore investigates how online reviews about restaurants affect social media endorsement of deal vouchers sold by the restaurants. (1) Does a higher average of review ratings about the restaurants increase social media endorsement (Facebook Likes) of deal vouchers? (2) Do rating dispersion moderate the effect of average rating on social media endorsement? Previous studies show two possible motivations to drive consumers’ sharing on social media endorsement, which are increasing social capital (Lin et al, 2001) and enhancing self-image (Akerlof and Kranton, 2000). A higher average rating can signal to customers that the product gain recognition from the mainstream market and customers are more willing to endorse it to their friends. However, what a large dispersion of review rating of a product means to customers can have two opposite conjectures. On the one side, a large dispersion of review rating may send a signal to customers that the product has high uncertainty on its quality (Feldman and Lynch, 1988). On the other side, a large dispersion of review rating may imply the product is unique and niche that is more attractive to customers with well-matched preference (Clemons et al 2006, Sun 2012). The author chose the daily-deal businesses as the research setting and the restaurant industry as the object of research. Data of restaurant deals were collected from two sources, a data set provided by Byers et al. (2012) that consists of a nationwide sample of deals across 19 major cities of the United States, and a commercial daily-deal aggregator. To exclude restaurants that may not exist or too small, the author also checked whether the profile of a restaurant can be found on Yelp. Com or not. Finally, a cross-sectional data set that includes 2,545 restaurant deals and 129,129 individual review ratings has been generated. The author regards Facebook likes endorsed for a product deal as the dependent variable and review ratings on Yelp.com as the independent variable of this paper. • The average rating increases consumers’ endorsements via Facebook for restaurants with enough reviews. • The effect of average rating on social media endorsement is greater for restaurants with more dispersed review ratings. The first finding thus confirms the expected behavior of consumers which is that a higher review rating is associated with a perceived higher quality. This makes people more willing to endorse the product, since their risk of sacrificing their self-image or their social capital is lower. The second finding is quite surprising, since it indicates that people value more dispersion in a rating over a pure opinion. One of the strengths of the paper is that it takes place in a real life setting and uses real life data. Additionally. the researcher ensures a causal relationship between the dependent and independent variable by using a regression discontinuity (RD) design. Another strength is that, it gives interesting insights on a topic where existing views exist, which can be helpful for firms using social media endorsements. Weaknesses of the paper are that it only focuss on one specific business area, making it harder to generalize the findings to other fields. Next to that the research only uses likes as endorsement measure, however in the current social media era, there are other ways to endorse such as sharing or commenting which are not included. The research generates some interesting insights on the effect of the review rating. It can be valuable to know for company to know what impact their rating has on their social media advertisements, since these advertisements can generate large amounts of additional revenue. It is therefore of great importance for companies to make sure that their average review rating is high. Secondly it generates especially important new insight for companies with niche products, that have a more dispersed rating. For these companies, it is more useful to make use of social media advertising, since they can benefit from the endorsement effect most. It can be insight full to do future research on the effect of review ratings in other business areas and to investigate what other factors can influence the social media endorsement of consumers to test if the research also stands for other services and products. Akerlof GA, Kranton RE (2000) Economics and identity. Quart. J. Econom. 115(3):715–753. Byers JW, Mitzenmacher M, Zervas G (2012) Daily deals: Prediction, social diffusion, and reputational ramifications. Proc. Fifth ACM Internat. Conf. Web Search Data Mining (WSDM’12) (ACM, New York), 543–552. Clemons EK, Gao GG, Hitt LM (2006) When online reviews meet hyper differentiation: A study of the craft beer industry. J. Man-agement Inform. Systems 23(2):149–171. Feldman JM, Lynch JG (1988) Self-generated validity and other effects of measurement on belief, attitude, intention, and behavior. J. Appl. Psych. 73(3):421–435. Li X, Wu L (2013) Measuring effects of observational learning and social-network word-of-mouth (WOM) on the sales of daily–deal vouchers. Proc. 46th Hawaii Internat. Conf. System Sci. (HICSS), Maui, HI, 2908–2917. Lin N, Cook KS, Burt RS (2001) Social Capital: Theory and Research (Transaction Publishers, New Brunswick, NJ). Sun M (2012) How does the variance of product ratings matter? Management Sci. 58(4):696–707. From Amazon to Apple, technology has disrupted traditional commerce companies, where technology solutions have enhanced the experience of the product or services for consumers. However, certain industries, such as consumer packaged goods (CPG), have remained relatively stable. In the past, innovation in CPG has been focused on products’ functionalities (e.g., a fast-action dish soap, or advanced whitening toothpaste). Despite CPG’s brand legacy and R&D capabilities, younger consumers are increasingly drawn to emerging micro-brands, small-scale brands tailored to niche markets (The Economist, 2018). In the rise of consumer-technology solutions, how do CPG companies stay relevant in delivering consumer-centric solutions? The answer lies with direct-to-consumer (DTC) brands. What is a direct-to-consumer distribution? Direct-to-consumer is the practice of selling to consumers directly, without the need of a third-party retailer or middleman. Adopting a DTC model has numerous benefits, including reducing costs associated with working with a middleman and furthering a company’s brand equity, where companies can further develop their brand relationship with customers on an e-commerce website or brick-and-mortar store. Direct sales also allow for a better understanding of customer data (Chonsksi, Caldbeck, and Jordan, 2019). When selling to a third-party store, consumer brands know how much volume they are selling to a store, but they do not know how well a certain product is selling in terms of individual sales. Thus, DTC sales enable greater understanding of sales data and valuable insight for marketing purposes. An example of a successful DTC company is Warby Parker, the online retailer of prescription glasses and sunglasses. Founded in 2010, the company emerged as an online-only model, where customers received different styles of glasses in the mail to try at home, and purchase the style that best fits them (O’Connell, 2012). Priced at $95 per frame, the glasses were substantially more affordable than glasses in stores. Furthermore, the company established a donation program, where for each pair of glasses purchased, a pair is donated in partnership with the nonprofit, VisionSpring. Thus, consumers associate Warby Parker with affordable styles and social consciousness, messages of the brand that may not be conveyed through a third-party retailer. Warby Parker has also grown its presence to stores across the United States, extending the brand experience. While many retailers are adopting a DTC model, it is difficult to see this model applied with CPG brands because they are stapled goods. Household products have become part of ones’ routine, so there is little room for large-scaled innovation as such changes may not be accepted by consumers. At the same time, new “startup consumer brands” are emerging with an emphasis on an online-store or subscription model (Duguay, 2018). The shift to e-commerce reflects changing consumer behaviors, where consumers are increasingly attached to their computers and mobile devices. With the rise of grocery delivery services, it is evident that consumers find grocery shopping a hassle. As a result, these emerging consumer brands complement the shift in consumer purchasing habits. CPG companies can learn from this model by expanding their marketing channels and service delivery methods. While CPG brands have a presence on television and digital media, many consumers discover products and deals through their local supermarket. As a result, the supermarket plays an integral role in consumers’ perceptions of the brand. A DTC model would give CPG companies greater control of customers’ interaction with the brand. One way to accomplish this is through pop-up stores. For example, St. Ives, the skincare brand under Unilever, launched a pop-up store in New York City, where customers can purchase products and mix customized scents. Similarly, Kellogg’s, the iconic American cereal brand that has stocked grocery stores for a century, has opened a café in New York, where patrons can have a bowl of cereal with toppings. Both examples prove that traditional brands with a long legacy can continue to innovate by directly reaching the customers. CPG brands are also partnering with emerging brands to expand their portfolio capabilities. In 2016, Unilever purchased Dollar Shave Club for $1 billion (Cao & Mittleman, 2016). Although Unilever has an existing portfolio of shaving products, the company was interested in Dollar Shave Club’s subscription model and its capability of developing a strong following quickly. Similarly, Colgate acquired a minority stake in Hubble, an online subscription company for contact lenses, in 2018 (Copeland & Terlep, 2018). With Hubble, Colgate is exploring innovative ways to deliver its legacy products (think a subscription model for toothpaste). With Amazon and Walmart expanding their footprint and capabilities, traditional CPG companies are looking for innovative solutions to remain relevant. Aside from CPG companies, it would be interesting to see whether a DTC model applies to other traditional industries such as household appliances and electronics. Unlike CPG brands, there is not a high turnover for the product. You will not go through a washing machine as you would go through laundry detergent. Household appliances and electronics innovate with new functionalities are advancements in their existing technology (think a faster food processor). The challenge is that the average customers are not enticed to purchase the newest model of an appliance item because they are satisfied with a product that serves its fundamental purpose. As a result, household products are not agile to customer needs. However, a DTC model can still be applied in this industry. Purchasing appliances is still an experience, and many consumers want to see the product before purchasing it. Similar to Warby Parker, household appliance brands can have dedicated retail stores to showcase their line of the product instead of going through a third-party retailer (e.g., department stores). Another benefit of having dedicated stores is that customers can ask specialists questions about the product. Household appliances can also consider an e-commerce model, where users can test a product at home before committing to purchase the product. The limitation of this proposal is the cost of shipping and greater risks associated with larger products. DTC distribution has proven to be successful, especially for emerging brands that have gained a loyal following. By selling products directly to the consumer, brands can control the messaging of the product. When it comes to CPG brands, there is are a lot of avenues for further growth including launching pop-up stores or partnering with emerging brands. Ultimately, a better understanding of the customer will position CPG companies for greater growth. This blog post aims to provide a review of the research paper “How Unbecoming of You: Gender Biases in Perceptions of Ridesharing Performance” published by the researchers Greenwood, Adjerid, and Angst in 2018. The post concludes with a business case of Uber, which relates closely to the paper’s topic of the perceived gender biases in ridesharing performance. The main objective of this research is to unravel significant biases that exist when consumers place a review online. More specifically, the researchers decided to focus on the gender biases that might take place on ridesharing platforms. While aspects of the rating process have a role to play, the characteristics of the rater and ratee have been found to have an effect on the willingness to transact. That is, the ex-ante evaluation of quality, meaning how an individual assesses a product or service before actually consuming it. These ex-ante quality perceptions were examined against the post transaction perceptions of quality. A few papers have previously addressed gender as a possible factor that can affect service quality evaluation. However, this paper delivers novel and valuable insights by taking into consideration gender as a plausible factor that could affect user post-consumption evaluation. To test the hypotheses, the paper uses an experiment with a 2 (gender) x 2 (race) x 2 (Historical Quality) x 2 (Experience Quality), between-subjects research design. The researchers informed the participants that they represented a new ride sharing service, called Agile Rides. Agile Rides was in the process of being launched and participants’ assistance was required to understand what makes a good rider experience, bringing the experiment closer to a real world setting. One of the main findings of the paper was that with historic quality being available, gender bias does not penalize women drivers before the service is rendered in a ridesharing context (H1). However, if the service provided by a woman is of a lower quality, worse ratings accrue for females relative to males with the similar performance (H2). Furthermore, when the tasks were considered highly gendered (either feminine or masculine), these penalties were intensified when performed by female drivers than by male drivers with the same performance (H3). Although there is no question regarding the relevancy of the paper, multiple strengths and weaknesses do exist. First, one strength of the paper is that gender and quality manipulations are extensively tested in the pre-studies. This allows the researchers to make accurate comparisons of perceived quality before and after the experiment has taken place. Second, the paper delivers high practical implications for services that work with online rating systems. These services can now identify which steps they must take in order to limit how gender bias is affecting the perceived quality of services offered. However, one weakness of the paper is that the researchers did not account for previous ride sharing experiences of participants. These experiences, either positively or negatively, could have influenced their quality perceptions. One suggestion would be that the researchers should inquire about the respondents’ previous ride sharing experiences. By doing so, the researchers could examine and compare the responses of the respondents with positive, negative, or no previous ride sharing experiences, in order to find out if pre-ride sharing experiences could yield different results. Second, participants were asked to imagine a hypothetical situation, which creates the risk that riders’ behaviour in real life could differ from what they have indicated. According to Ajzen et al. (2004), bias in hypothetical situations exist because individuals imagine that they will act according to social norms and expectations, which is not always the case in real life. The results in a real world setting could therefore differ from the results found in the research. A possible solution to this problem is to implement Virtual Reality (VR) when measuring the quality perceptions of the participants. Instead of only relying on text to imagine a situation, participants can now also experience it with visuals. Situations closer to real life settings can be created and bias can be reduced. An example of a company that outsources driver ratings and has experienced gender bias in their evaluation system is Uber. Generally, after a ride, a passenger is asked, through an Uber app, to rate the driver anonymously using “1- to 5-star scale” (Rosenblat et al., 2016, p. 3). Leveraging anonymous consumer-sourced ratings, Uber outsources driver evaluation to consumers. Nevertheless, as consumers enter their ratings into the system, algorithms also record the consumers’ implicit biases. A case study on Uber reveals that driver ratings are highly likely to be biased by factors such as race, ethnicity and gender (Rosenblat et al., 2016). In the world, there are laws that protects consumers from direct discrimination such as The Equality Act 2010. However, there is currently no law that handles indirect bias like those generated from consumer-sourced ratings. As such, the authors of the Uber case study propose following ten interventions to limit bias in the consumer-sourced ratings (Rosenblat et al., 2016). First, it is important to track consumer-sourced ratings which enables identification of potential driver bias patterns. Second, it is equally important to disclose the identified patterns to the public in order to propel solutions within Uber. Third, ratings should be validated in conjunction with behavioural data. For example, if a driver receives a low rating, the speed with which the driver drove should also be assessed in order to justify the low performance. Fourth, each rating should have a different weight to account for potential biased raters, which are found upon statistics. Fifth, Uber should increase feedback criteria for consumers who provide low ratings, for example elaboration on certain dimensions they were dissatisfied with. Sixth way to eliminate consumer-sourced biases is to keep the consumer-sourced ratings only for internal uses rather than driver evaluation. Seventh, Uber can also increase in-person assessments of low-rated drivers. Eight suggestion is about opening the platform fully to both drivers and consumers. With an open policy, both parties would be able to join the platform, get to know each other and receive the option to select or approve upon each other requests. Ninth plausible solution could be to turn self-employed drivers into law-protected employees. Finally, the authors suggest legal bodies to “lower the pleading requirements for claims” that are brought against ride-sharing platforms (Rosenblat et al., 2016, p. 16). In conclusion, the paper presents novel findings that serve to inform ridesharing platforms, such as Uber, about biases in their evaluation services. Furthermore, this blog post provides ridesharing platforms with ten interventions to limit possible biases in their consumer-sourced ratings. Ajzen, I., Brown, T. C., and Carvajal, F. 2004. “Explaining the Discrepancy Between Intentions and Actions: The case of hypothetical bias in contingent valuation,” Personality and Social Psychology Bulletin (30:9), pp. 1108-1121. Greenwood, B. N., Adjerid, I., & Angst, C. M. (2017). How Unbecoming of You: Gender Biases in Perceptions of Ridesharing Performance. This is a review of the paper “Competing for Attention: An Empirical Study of Online Reviewers’ Strategic Behavior’ written by Shen, Hu & Ulmer (2015). In 2007, a study by Deloitte found that 62% of consumers read consumer-written online product reviews, and among these consumers, 82% stated that their purchase decisions were directly influenced by online reviews. Shen, Hu & Ulmer (2015) argue that these percentages would be higher if the study were to be replicated today, as consumers increasingly rely on online opinions and experiences shared by consumers when deciding what product to purchase. As such, it is important for companies to understand what incentivizes online reviewers to actually write reviews and what the effects of incentives are on the content of their reviews (Shen et al., 2015). The authors argue that there is a large body of literature on online product reviews, but that this existing body of literature has failed to look at how online reviewers are incentivized to write reviews (Shen et al., 2015). This includes studies such as by Basuroy et al. (2003), who looked at numerical aspects of reviews and studies such as by Godes & Silva (2012), who looked at the evolution of review ratings. However, the authors note that a large part of existing research simply assumes that reviews are written for the same motives that offline consumers have when they provide word-of-mouth reviews (Dichter, 1966). With this gap in mind, the authors drew from literature in other contexts, such as motivation for voluntary contributions in open source software and firm-hosted online forums. Building on this literature, the authors propose that gaining online reputation and attention from other consumers is an important motivation for their contribution to review systems (Shen et al., 2015). In order to explore this, the paper “empirically investigates how incentives such as reputation and attention affect online reviewers’ behaviours” (Shen et al., 2015, p. 684). In order to conduct this empirical investigation, the authors use real-life data of online reviews of books and electronics, gathered from Amazon and Barnes & Noble (Shen et al., 2015). The data was collected on a daily basis and allows for a comparison both across product categories as well as across different review systems (Shen et al., 2015). Amazon and Barnes & Noble were selected because they are the two largest online book retailers and have two distinctly different review environments (Shen et al., 2015). Whereas Amazon ranks reviewers based on their contribution, allowing the reviewers to build up a reputation and consistently gain future attention, Barnes & Noble does not offer any of this (Shen et al., 2015). The authors gathered a sample that includes all books released between September and October 2010, resulting in a sample of 1,751 books with 10,195 reviews (Shen et al., 2015, p. 685). Additionally, the authors randomly selected 500 electronic products on Amazon in order to allow for cross category comparison with the findings resulting from the analysis of the book reviews, allowing the authors to generalize their findings (Shen et al., 2015). Based on this data, the authors look at two review mechanisms at two levels, namely the product level and the review rating level. At the review rating level, the authors study how reputation status affects reviewer’s decisions on whether to differentiate from the current consensus (Shen et al., 2015). They look at how a target rating deviates from the average rating, indicating how differentiated the rating is (Shen et al., 2015). The main results stemming from this study are that online reviewers appear to behave differently when they have strong incentives to gain attention and enhance their online reputation (Shen et al., 2015). Looking at popularity, online reviewers tend to select popular books to review, as this would allow them to receive more attention (Shen et al., 2015). As for the crowdedness, it was found that fewer reviewers will choose to review a book if the review segment becomes crowded, indicating that reviewers tend to avoid such spaces as they would have to compete for attention (Shen et al., 2015). Next to this, differences in the results between Amazon and Barnes & Noble indicate that in online review environments with a reviewer ranking system, reviewers are more strategic and post more differentiated ratings to capture attention, doing so to improve their online reputation (Shen et al., 2015). In turn, this reviewer ranking system intensifies the competition for attention among reviewers. Next to these main findings, the authors ran some additional analyses to further understand online reviewers behaviours (Shen et al., 2015). Running the same analyses on the electronic products dataset yielded consistent results. As such, the authors argue that their findings are robust (Shen et al., 2015). Adding onto their results, the authors argue that with a reviewer ranking system through which reviewers can build up their reputation, opportunities arise for reviewers to monetize their online reputation by receiving free products, travel invitations and even job offers (Coster, 2006). The main strength of this paper is in its use of real-life cases and the practical implications for online review systems and companies that make use of these review systems. As reviewers respond strategically to incentives such as a quantified online reputation, this can be used to motivate reviewers consistently (Shen et al., 2015). An example of this is TripAdvisor’s profiles and contributor badges (as seen in the picture to the left). Additionally, as reviewers are more likely to write a review for popular but uncrowded products, companies can make use of this by sending review invitations to niche product buyers and emphasize the small number of existing reviews or even by highlighting small numbers of existing reviews in the design of the website (Shen et al., 2015). As companies have their own specific goals, they may develop their own algorithms for selecting certain groups of reviewers to receive review invitations, rather than sending these invitations to every buyer, as is currently the common practice (Shen et al., 2015). Lastly, reviewers that consistently offer highly differentiated reviews should carefully be taken into account by companies as these reviewers might simply be trying to game the system rather than serve the purpose of the review of signaling product quality (Shen et al., 2015). This can be through the use of ranks, but also other signals, such as “helpfulness” votes or even altered algorithms for such reviewers. Basuroy, S., Chatterjee, S., & Ravid, S. A. (2003). How critical are critical reviews? The box office effects of film critics, star power, and budgets. Journal of marketing, 67(4), 103-117. Coster, H. (2006). The Secret Life of An Online Book Reviewer. Forbes, December, 1. Deloitte. (2007). “Most Consumers Read and Rely on Online Reviews; Companies Must Adjust,” Deloitte & Touche USA LLP.